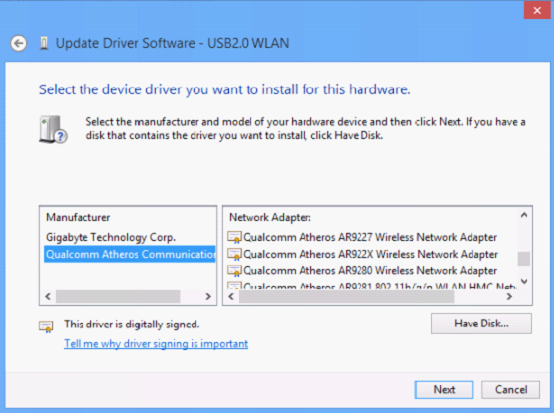 How to Manually Install Adapters on Windows 8? 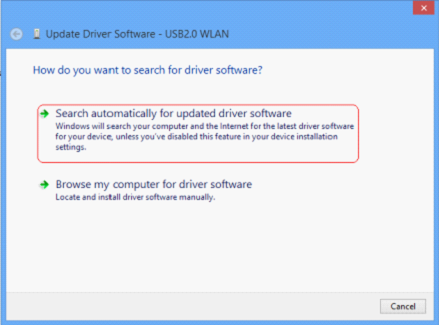 Before the installation, please download the latest driver from TP-Link official site, and extract the zip file to a folder . 1. Insert the adapter onto your computer. 2. 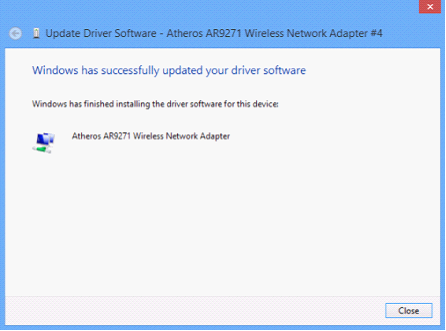 Download the updated software and extract it. 3. 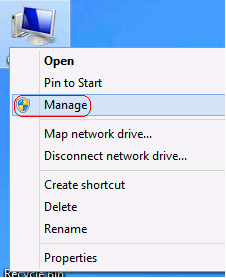 Right click on Computer Icon, and then click Manage . 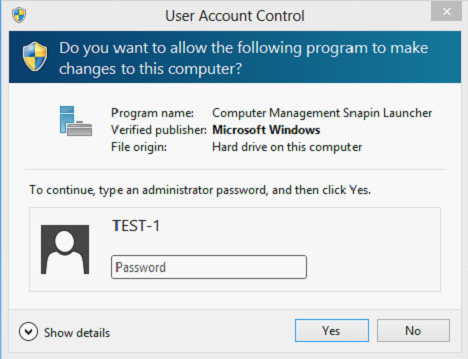 NOTE : If you are not an administrator, you will be prompted to type an administrator password, and then click Yes. 4. 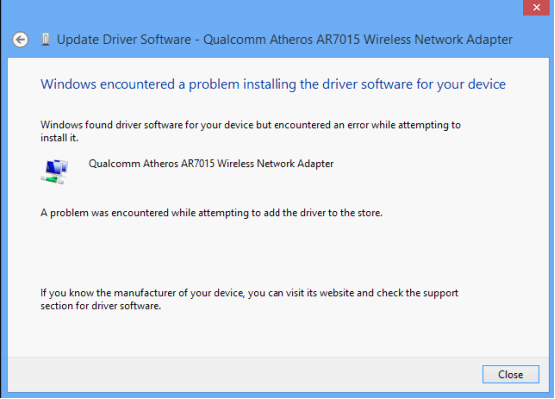 Open Device Manager . 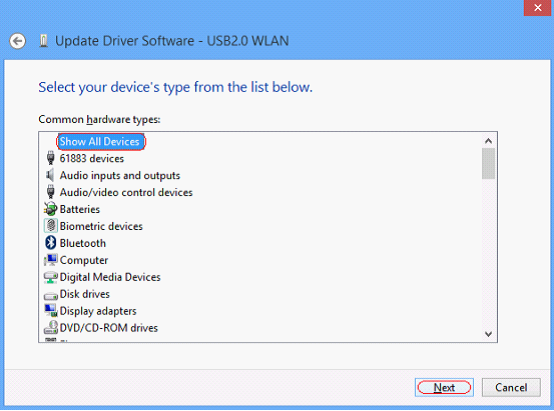 Right click the adapter and then click Update Driver Software… . 5. 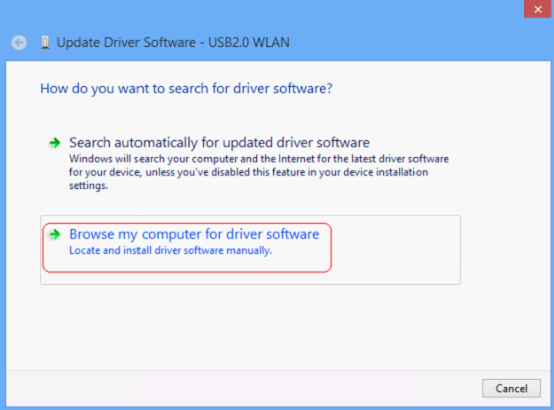 Click Browse my computer for driver software . 6. 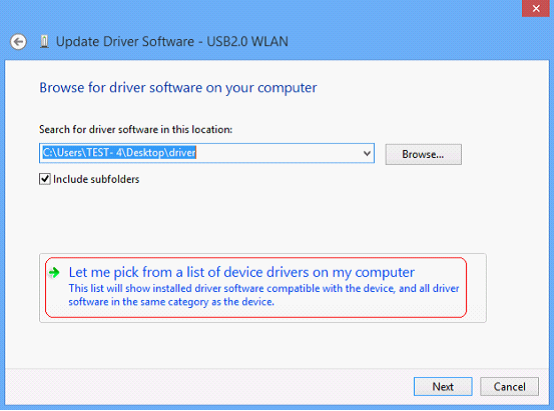 Click Let me pick from a list of device drivers on my computer . 7. Highlight Show All Devices and click Next . 8. 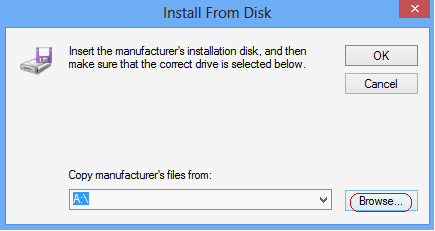 Click Have Disk . 10. 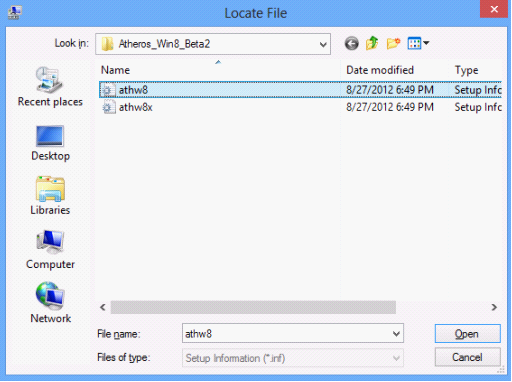 Select the inf file in the driver folder, and then click Open . NOTE : athw8 is for 32-bit operating system, athw8x is for 64-bit operating system. 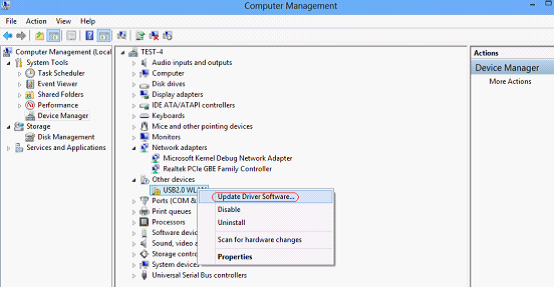 Please click start button, right click Computer and go to properties to confirm operating system and system type of your computer. 11. 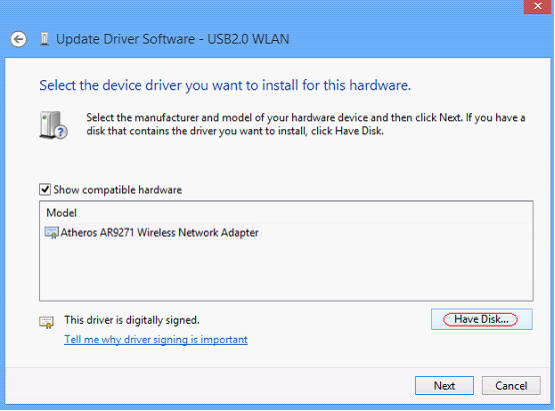 Select the devicer you want to install for this hardware and Click Next . 13. Wait a moment . Please connect your computer to Internet with a cable and go back to step 5.